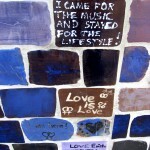 The wall reflects the monumental struggle for gay rights. 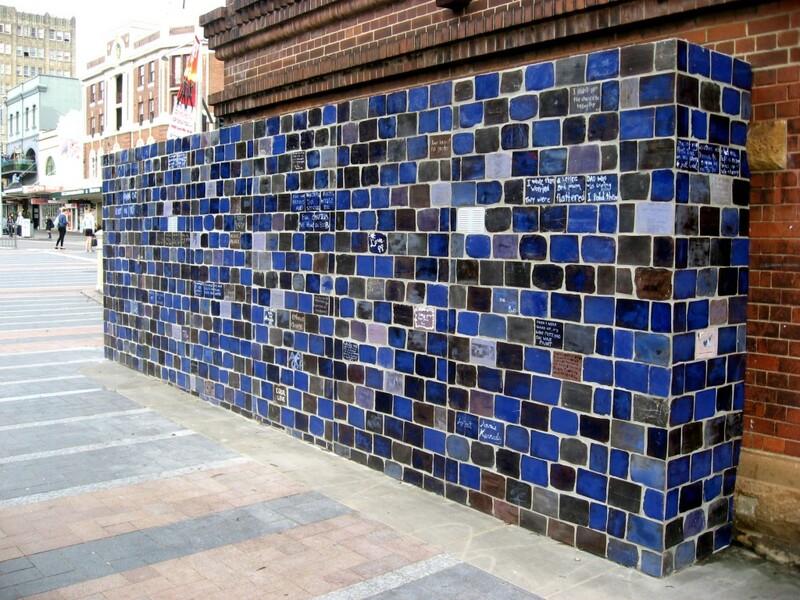 Made up of the thousands of individual tiles, it creates a huge impact on the landscape just as the struggle, composed of each individual action led to great change. 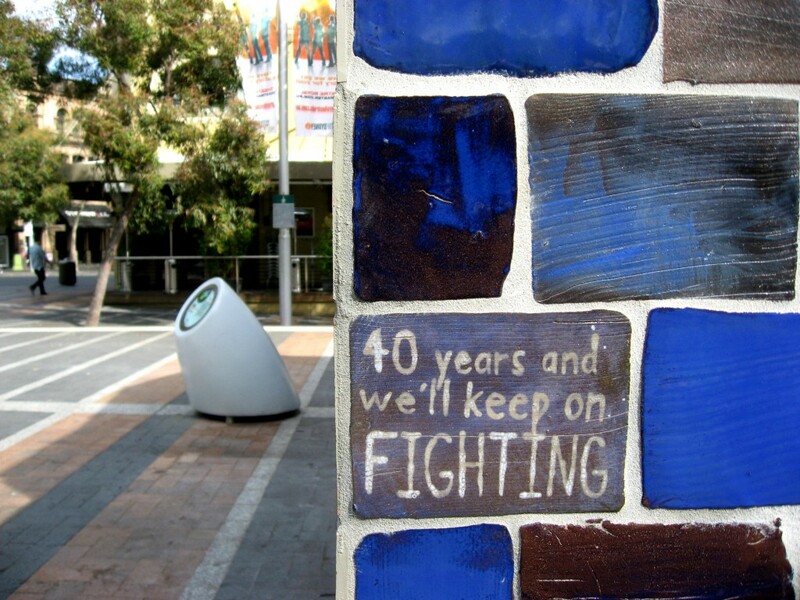 Camp Stonewall by Annie Kennedy commemorated the 40th anniversary of CAMP (Campaign Against Moral Persecution), Australia’s first openly homosexual organisation, and celebrated the history of the local area. 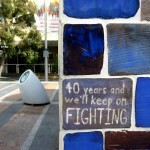 Working with leading gay and lesbian activists from the 1970s and the local community, artist Annie Kennedy created a resonant and powerful installation exploring the broader struggle for gay rights mixed with personal “coming out” stories written by members of the local gay and lesbian community. Camp Stonewall was composed of several elements. 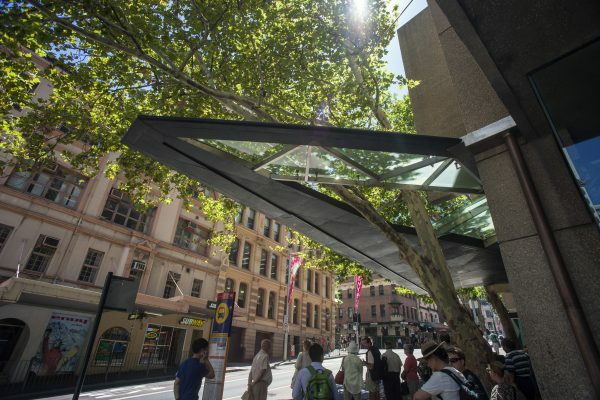 The structure juxtaposed the historic former Men’s Convenience, where men met secretly and out of sight, with a public artwork, recognising that homosexuality is now in full view and well integrated into our local community. 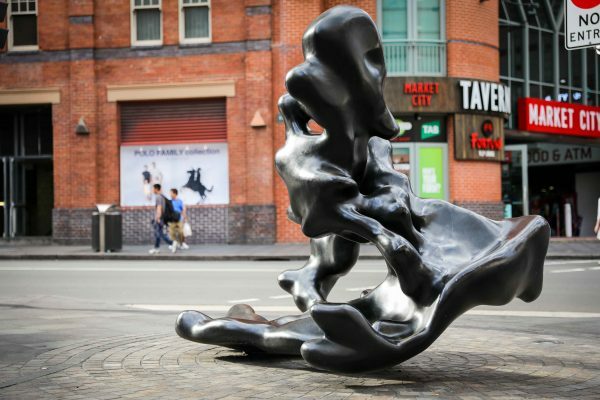 The artwork was a monument, both in its physical presence and in what it contained within its walls – the recorded history of gay rights. 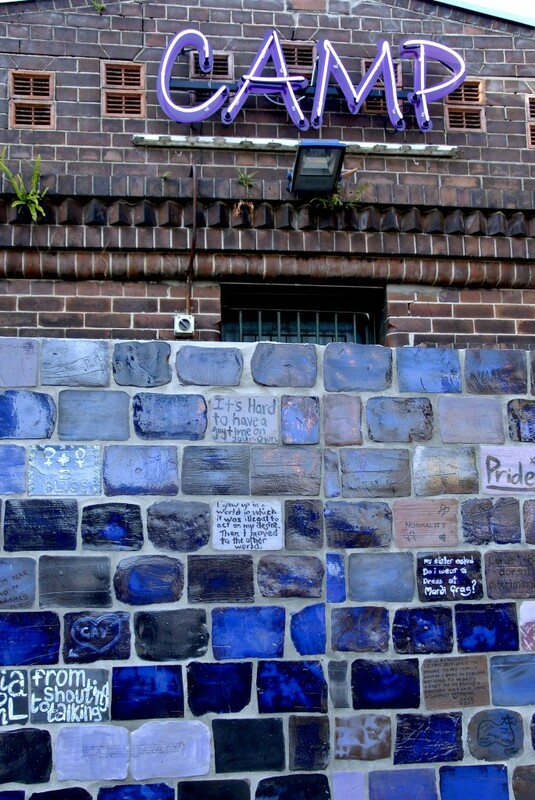 The title referred to the Stonewall Inn in Manhattan, where the gay riots on June 28th 1969 sparked an international response – including protests in Sydney’s Oxford Street. 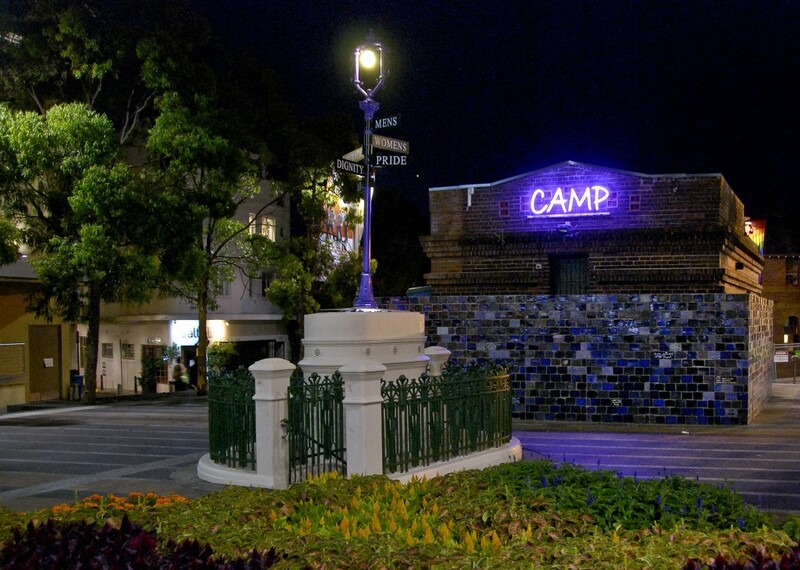 A neon sign at the top of the women’s historic brick toilet block acknowledged the CAMP organization which was at the frontline in the fight to decriminalise homosexuality in Australia. The sign also played on language belonging to gay culture, and the idea of a camp where soldiers of a cause gather for the fight. 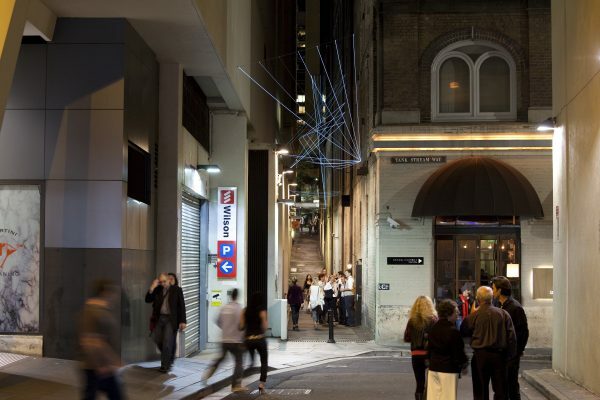 Neon has connotations of nightclub signage and acknowledged the tremendous vitality of gay culture and Oxford Street history. 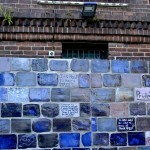 The wall was symbolic of both the gay struggle and the history of the site in two ways. Firstly, it was like turning the toilet walls inside out, reflecting written and drawn graffiti, personal messages and political statements. 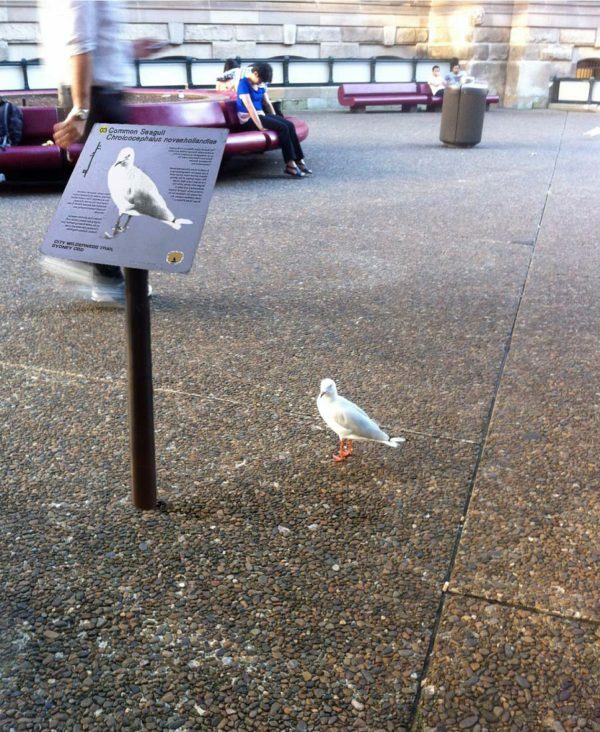 The once private meeting place “comes out” into open and public view. Secondly, the building looked like a fortress, a site for generating attack and for defending. 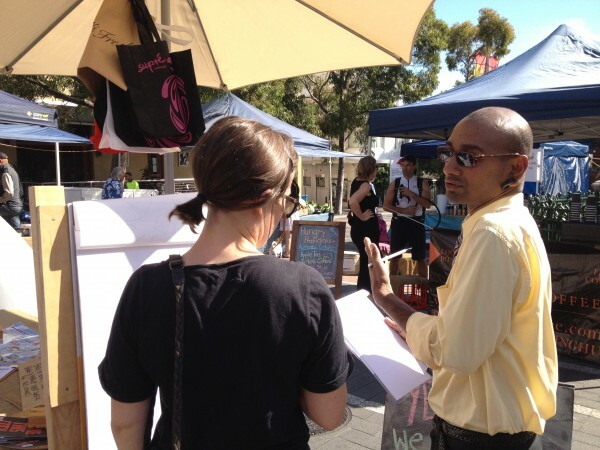 A virtual wall was created through the City of Sydney website where people could add their responses throughout the duration of the project. 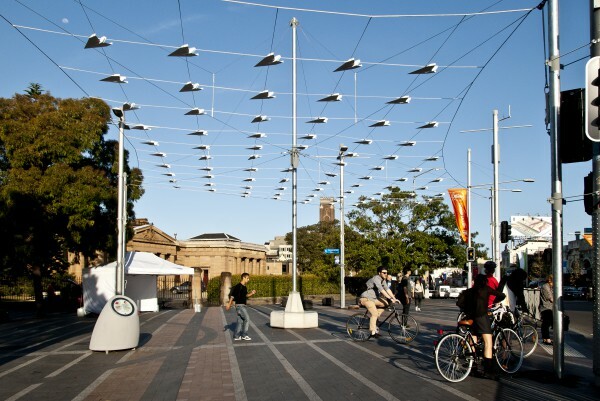 A lamp post, installed on the men’s urinal plinth, reinterpreted the original post from the early 1900s, which carried street signage for the roads radiating from Taylor Square and illuminated the square. 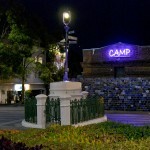 In the spirit of reclaiming local history, Camp Stonewall reinstated the traditional sign post with a working lantern on top, but rather than street names the signage indicated the new directions opened by gay rights. The blades pointed in different directions, saying MEN’S, WOMEN’S, LIBERATION, DIGNITY, PRIDE, LOVE. It symbolically radiated these values and accomplishments, championing the victory of gay rights and invigorating the urinal as a site of respect. 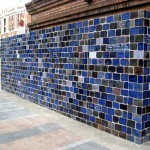 Oral History recordings were broadcast through speakers throughout the installation. These stories were gathered from archival recordings and recent interviews with men and women who participated in the early campaigns of gay activism and those familiar with Oxford Street history. These recordings served to reflect on the profound changes which have occurred since the 1970’s. 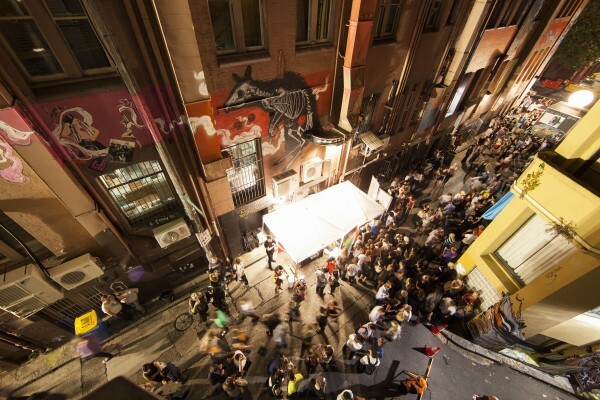 Annie Kennedy is a National Art School alumnus and has a particular interest in public art and the exploration of social issues. 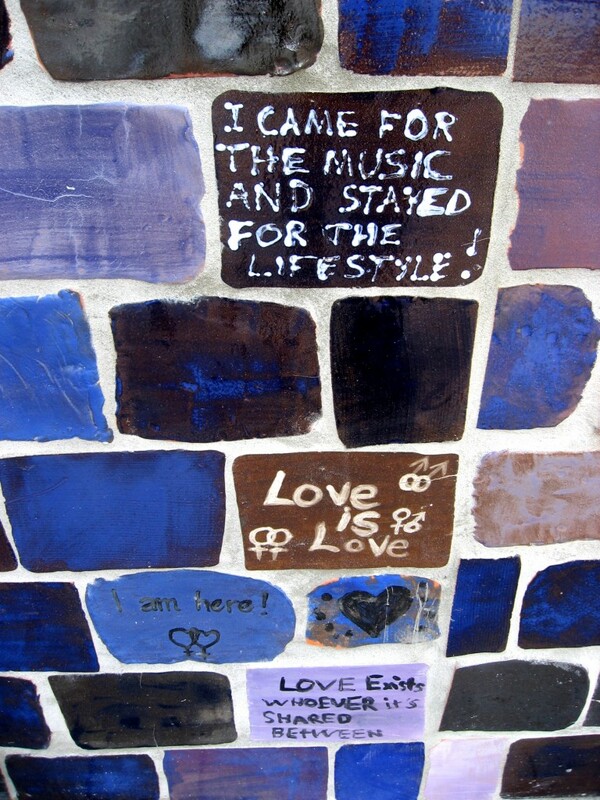 She was artist-in-residence at the school while working on the Camp Stonewall project. 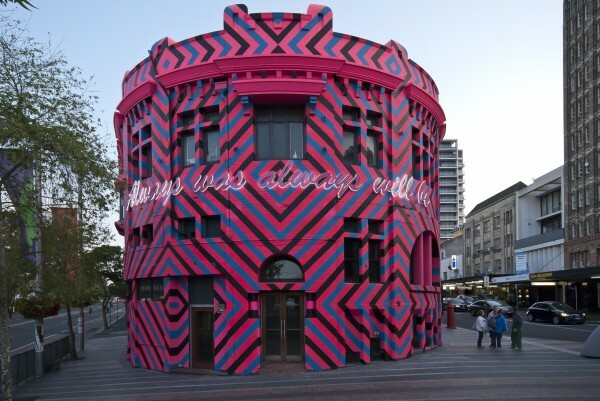 The third Taylor Square project was Camp Stonewall by Annie Kennedy.